Pain in the upper back can have various causes. Sometimes it is a problem with the ribs that are attached to the spinal column along the back. This causes symptoms with various movements of the upper back and chest. The ribs (costae) together form the chest or rib cage. Along the front of the body they are connected to the breast bone (sternum). Along the back of the body they are connected to the spinal column by means of joints. 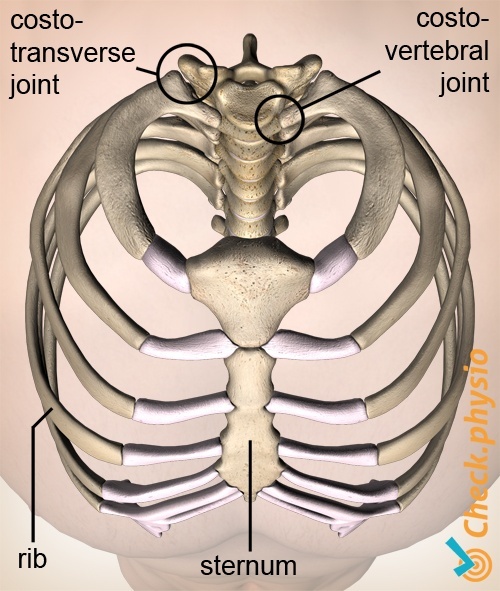 These joints are called the costovertebral and the costotransverse joints. If a costovertebral and/or costotransverse joint is affected, we refer to this as costovertebral and/or costotransverse pain. This can be explained more effectively as pain in the back caused by a problem with the rib joints. Pain along the back of the (upper) back. The pain can radiate forwards or sideways over the ribs. Usually the symptoms are located on one side of the back, unless the rib joints on both sides are affected. Pain when bending forwards or sideways with the upper back/chest. 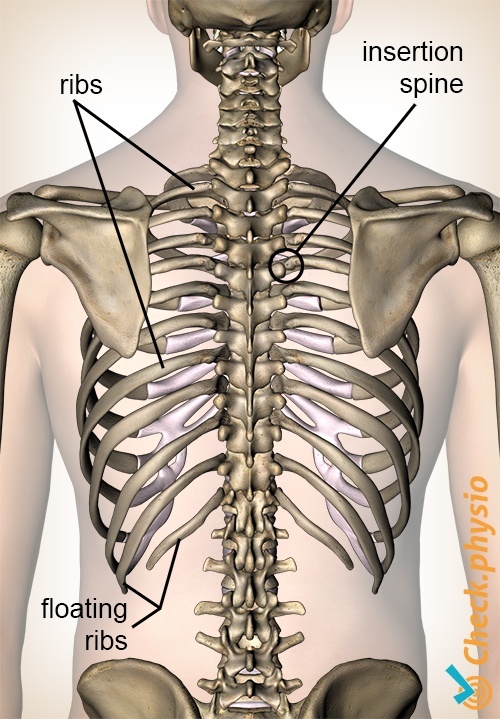 Pain when rotating the upper back/chest. Pressing on the rib (joint) makes the symptoms worse.